Peace and quiet. Native wildlife. Fishing. Maybe even a roo or two hopping by. If that sounds ideal to you, it’s time you booked an Easter camping or caravanning getaway. And the best part? You can find some of Australia’s greatest natural gems right here in SA, within a few hours drive from Adelaide. Like the Yorke Peninsula for example. Beaches, nature trails, history and culture are all to be found in this peaceful corner of the world. It’s one of my favourite places to set up the camper trailer and head out exploring. When I think Yorkes, I think Innes National Park. And there are plenty of campgrounds to choose from, all of which can be booked and paid for via the Parks SA website. This campground usually gets booked up pretty quickly, so you might have to be flexible with your dates. 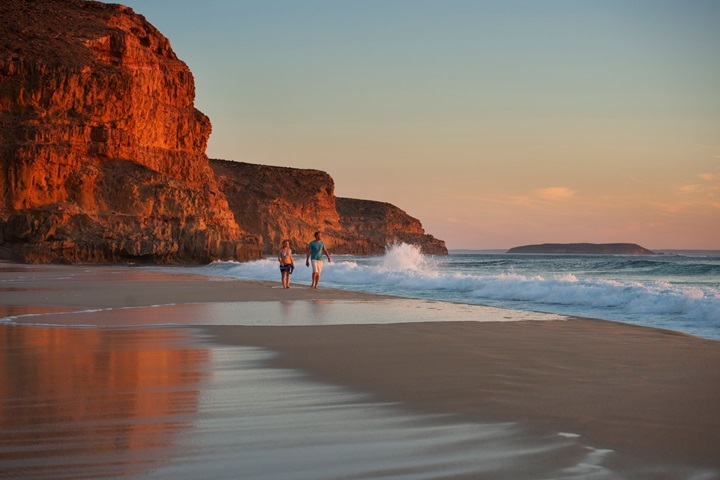 Campers and caravanners love Innes National Park for its fishing, surfing and bushwalking. There are trails ranging from 30-minute strolls to four-hour treks. And with the weather getting cooler, there’s no better time to go. There are native birds and animals galore, plus some of the best coastal views in South Australia. The entire park can be accessed by 2WD, so it’s perfect for anyone, anytime. Great beaches for surfing are Pondalowie Bay, which offers long and consistent waves, and Chinaman’s Beach, which is suited to experienced surfers only. Wildlife lovers, see if you can spot a rare Tammar wallaby, which were reintroduced to the park after becoming extinct in South Australia. If history is more your thing, check out the Ethel shipwreck or one of the functioning lighthouses along the coastline. You can also take a historic walk around the abandoned bush township of Inneston and imagine what it was like to bake bread in the old bakery. For fishing, Browns Beach is one of South Australia’s best salmon fishing spots. Elsewhere in the park you might catch garfish, squid, mulloway, mullet, sweep and whiting. 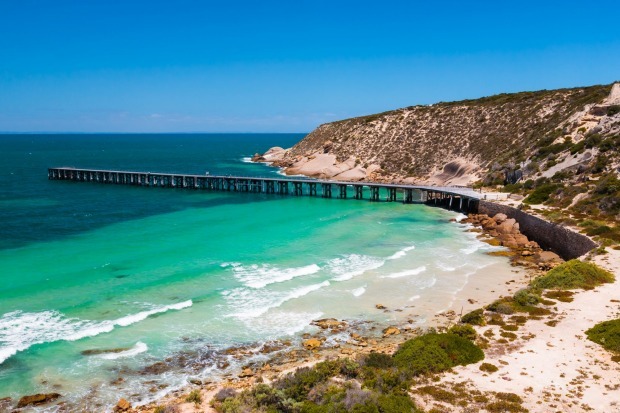 Whatever your pleasure, make Yorke Peninsula the next stop on your travel agenda. And trust Dave Benson Caravans to make it a safe and comfortable trip.